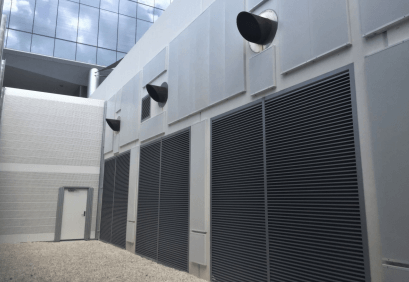 Sound Fighter Systems recently had the pleasure of helping one Floridian commercial client with environmental noise control issues surrounding a generator enclosure system used for running a customer service hub. Staying in ordinance with city regulations for sound emissions meant a dramatic noise reduction panels to reach the 65-decibel threshold the community leaders set for commercially operating businesses. The team at SFS assessed the situation and found four areas where a combination of noise treatments could help the customer mitigate sound levels. Our SonaGuard sound-absorptive noise barrier system and the Retrosorb sound absorption panels were deemed optimal treatments for the drastic noise reduction required. Once installed, the acoustical team assessed noise levels in the 56 decibel range, resulting in a 30+ percent reduction in noise levels. Additional requirements were to utilize a products that the local community felt was aesthetically-complementary to the surroundings, and products with sufficient durability to hold up to extreme wind speeds along the Florida coast. What are RetroSorb Sound-Absorptive Panels? These non-corrosive all-aluminum sound panels are designed for outdoor use, and will convert existing sound-reflective structures like buildings into fully sound-absorptive surfaces. These lightweight, powder-coated enclosure panels finish the walls are easy to install. RetroSorb panels have a noise reduction coefficient of 1.05, ranking them amongst the best outdoor sound barrier treatments in the world. How Does the SonaGuard Noise Barrier System Work? 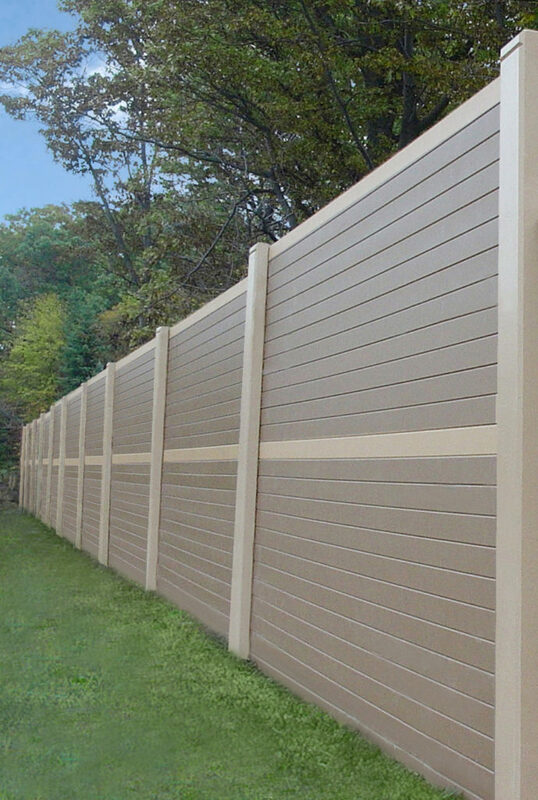 The 100% absorptive SonaGuard sound wall panels are made of pultruded fiberglass and are non-corrosive and lightweight. 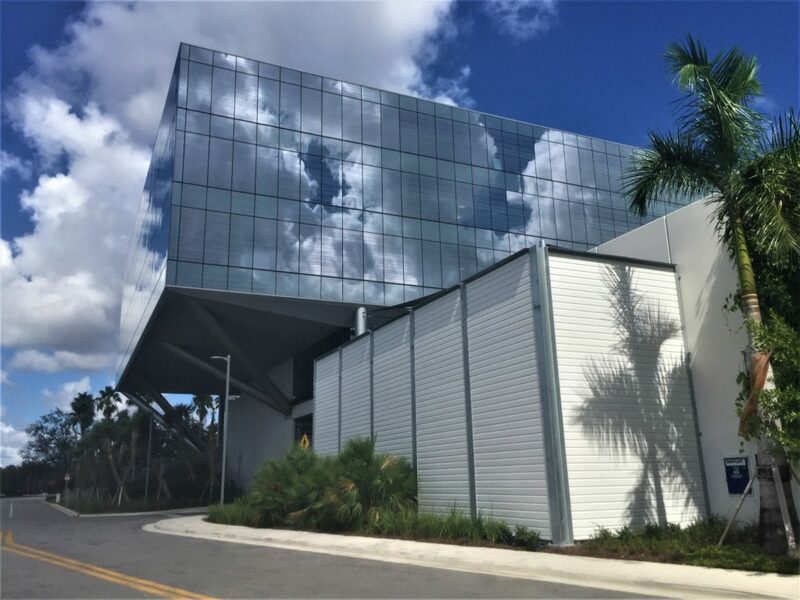 SonaGuard panels have been designed and engineered to withstand any wind load in North America, including the hurricane-level loads of Miami-Dade specifications. The fiberglass wall panels are also non-conductive and have a Class A Fire Rating. Why Use Two Kinds of Noise Treatments? Reflected noise bouncing off the reflective building structure. Freestanding noise barriers like the SonaGuard system sufficiently block and absorb the direct noise. And by treating the reflective building structure with a sound-absorbing panel such as RetroSorb, you also capture the reflected noise. Using a combination of noise absorbing panels captures both noise paths, and helps to achieve the overall target mitigation goals. To learn more about the Retrosorb or SonaGuard sound enclosures, please contact us.